Great location (within a walking distance to Alhambra, Albayzin and Sacramento), wifi works very well and the hostel is super clean! The staffs are friendly and nice, and what I love most is they provide fans in the room! It is really convenient to have it during this summer. I stayed in a shared room of 4 people and the room was comfy. It has free lockers, 4 fans (at each person's bed! ), a wastafel and many charger spots. All in all, this place is so homeyyy! 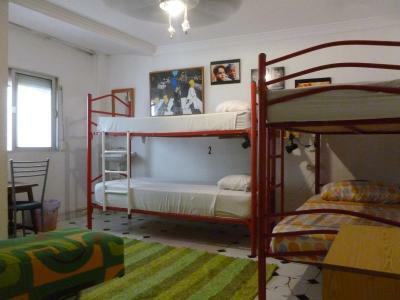 The hostel is a wonderful place that I'll suggest to everyone. The staff is amazing especially the host Andrea is a wonderful loving person who is willing to go that extra mile to help you! Wonderful!! The Staff was friendly and helpfull, and the place is well designed. There's a well equipped kitchen with an option to cook your food and use the fridge. The location was very central, even with a vegan restaurant 2 min walk away (and many others too). The bathroom was very clean. The location was great, and although I didn't use it, the kitchen was pretty good. The location was excellent. 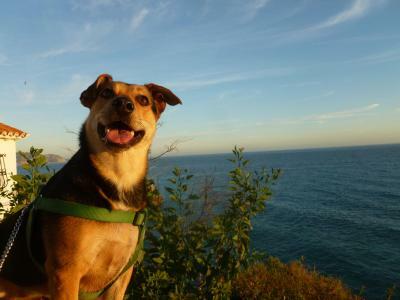 Just 10 min walk to Alhambra. The room was clean. The location is in a great neighbourhood so be sure to explore it well. It was surprisingly a very comfy bed. We were also provided great recommendations on attractions to visit and they even printed out our Alhambra tickets. 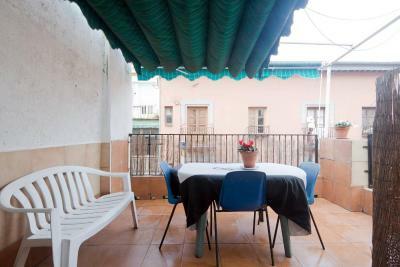 Excellent location, very clean room and bathroom and comfortable bed. Amazing stuff! The most beautiful hostel I've ever seen! I hope to come back as soon as possible! 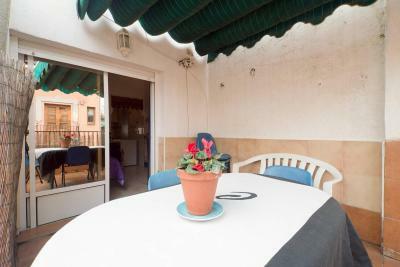 Hostal El Cascabel This rating is a reflection of how the property compares to the industry standard when it comes to price, facilities and services available. It's based on a self-evaluation by the property. Use this rating to help choose your stay! 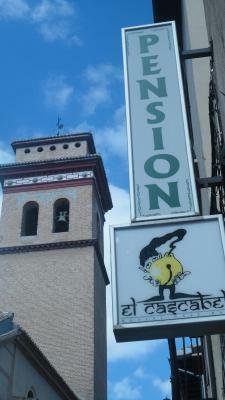 Located on lively Elvira Street in central Granada, El Cascabel offers free Wi-Fi access. 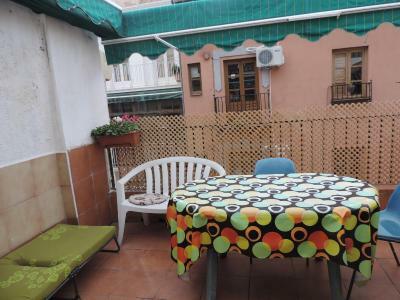 It is located on the edge of the charming Albaicin district, a UNESCO World Heritage Site. 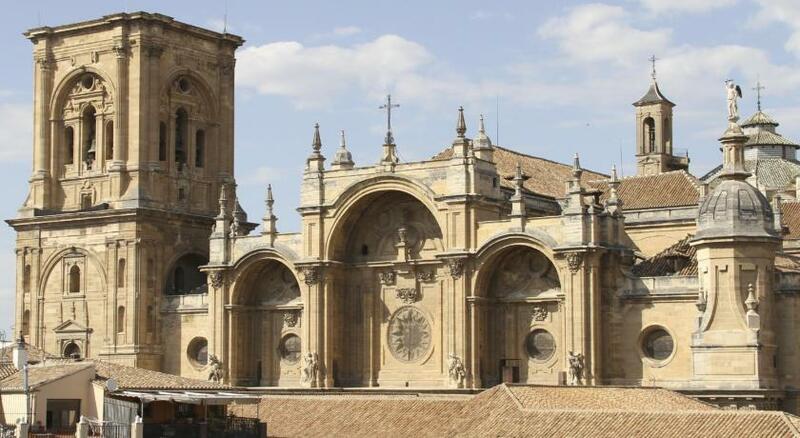 Granada Cathedral and the city’s main shopping district are just 1,650 feet from the guest house. 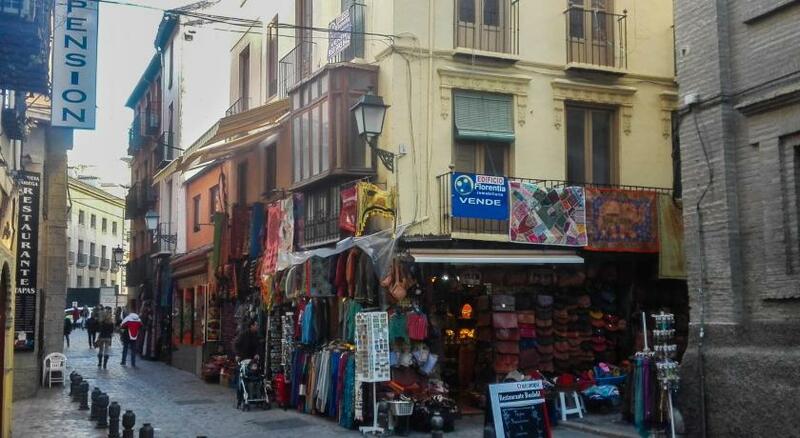 Buses to the Alhambra and to Granada Airport stop on Gran Vía, a 2-minute walk away. 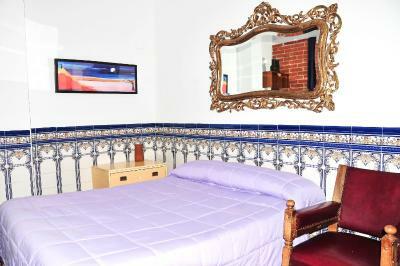 Rooms at Hostal El Cascabel offer simple décor, wooden floors and heating. 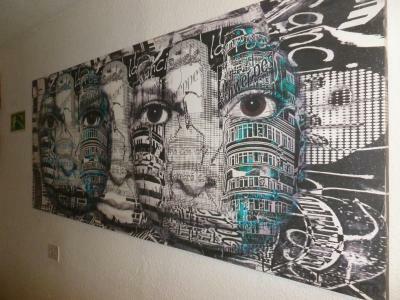 Rooms are available with private or shared bathroom facilities. 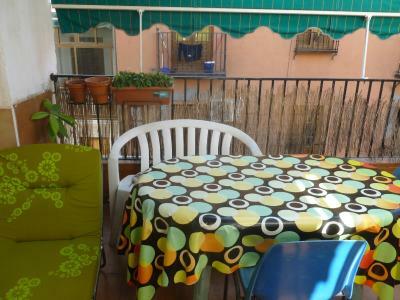 There is also an apartment with a kitchen and terrace. 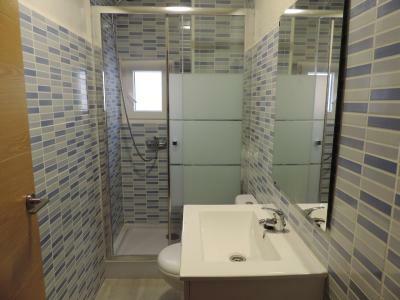 뀐 Located in the top-rated area in Granada, this property has an excellent location score of 8.9! 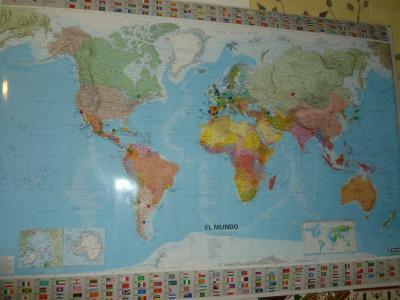 When would you like to stay at Hostal El Cascabel? This room offers free Wi-Fi and heating. The private bathroom comes with a shower. 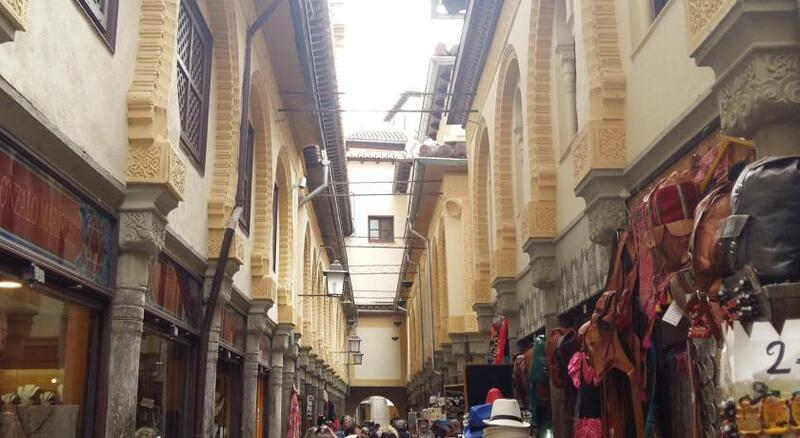 Area Info – This neighborhood is a great choice for travelers interested in UNESCO sites, architecture and atmosphere – Check location Great location - show map Guests loved walking around the neighborhood! 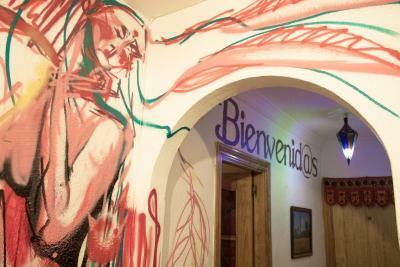 House Rules Hostal El Cascabel takes special requests – add in the next step! Hostal El Cascabel accepts these cards and reserves the right to temporarily hold an amount prior to arrival. There were only two toilets and one shower for all dorm rooms. When we first walked in, there was a very heavy meal/ kitchen smell that did not go away from the moment we arrived till the next morning we left. We had booked a room with shared bathroom. They gave us the room next to the kitchen and the bathroom was upstairs. When we said these two were too far away, they said there was nothing to do. The room we stayed in didn't look like many of the rooms we saw on the pictures. The shared bathroom's toilet was often blocked and wasn't squeaky clean. I've stayed in lots of hostels but never have I experienced one this bad. We should have seen it coming from the beginning, when I had an awkward email exchange with the staff who seemingly overbooked the rooms. Once we got there the experience became even worse. Our friends had the private terrace room and they did not get 1 moment of sleep due to noise (and it's not that we went to sleep early). We had the ground floor room. When we arrived, we were greeted with an apology due to a "a problem with the wall", but no mention of a partial refund for the damage. We open the door and we found the paint had fallen from the wall and the ceiling!! Bits of white paint fell all over the clothes we left on the chairs throughout the two days we stayed there (and we had to leave everything on chairs or suitcases because there is no wardrobe or drawers or space, for that matter). It was disgusting. Also the floor was dusty and there were layers of dust all over the place...I tried to hang a towel and the hanger fell, so my wet towel was lying on the floor, catching all the dust and bits of paint... If our friends on the top floor didn't get any sleep where they were, you can imagine how it was for us on the ground floor and near the tiny reception and kitchen (noise coming from within and outside). The day of the check out, nobody was at the reception and we couldn't even leave our bags there for a few hours, because it is not something they do! 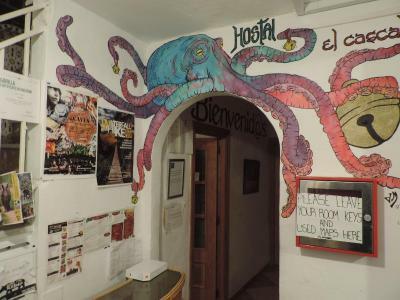 I am so shocked by my experience at the El Cascabel hostel and strongly advise everyone not to stay in this place. I am surprised by all the positive reviews I have seen and for that matter about the fact that this hostel is still open. The room and the hospitality of the guys! Stayed in double room with privare bathroom. It was very noisy during the nighy. Not clean at all, with old linen. Very expensive for what it was. Would have rather paid an extra 20 euros and stay in a hotel where I could actually rest during the night.